Welcome back to episode 2 of the Beyond Applause podcast! Have you ever pondered questions like: “How do I get on a TEDx stage?” and “What is it like to prepare for a Ted X talk and what happens after it’s over?” If you have, you’re in luck! 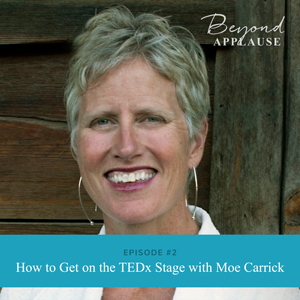 Today, I am excited to share with you a conversation with my friend and colleague Moe Carrick where we answer these, as well as other questions around giving a talk on a TEDx stage. Moe is a consultant and coach through her company, Moementum. 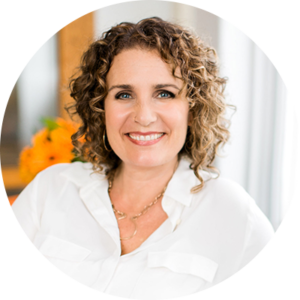 She’s a speaker and a licensee and lead organizer for TEDx Bend, and an author of a bestselling book Fit Matters: How to Love Your Job. Moe has delivered two TEDx talks in Washington and Atlanta. Join us as Moe talks about how to become a TEDx presenter and pulls back the curtain on the speaker selection process and criteria. She also shares her personal experience with the preparation process for her TEDx talks, how they have impacted her life afterward, and much more! 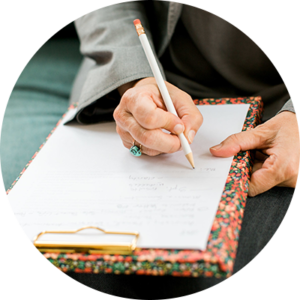 And if you need help with getting clarity on your message that you would like to deliver at an event like TEDx, make sure you sign up for our free Claim Your Rooftop Message mini-course today! Two ways you can get on a TEDx stage. How the TEDx speaker selection process works. The different Ted events and whom they are created for. The preparation process for a TED talk. Moe’s tips for delivering a successful talk. The incredible advantages of delivering a TED talk. The results you can expect after delivering a talk. I would love to know what resources, strategies, and stories you’re looking for so I can serve you better on Beyond Applause! Leave me a rating and review on iTunes and let me know what you think! Welcome to Beyond Applause, a podcast for mission-driven leaders, coaches, and creatives who are ready to share their expertise and stories through public speaking. Here’s your host, Michelle Barry Franco. Hello my speaker friends, I am just giddy because here we are at podcast episode number two at The Beyond Applause Podcast and I’m already sharing with you what feels like the platinum, supreme, awesome content that I plan to keep delivering. But in this conversation in particular, I know we’re going to answer so many questions that you likely carry around how do I get on a TEDx stage, what is it like to prepare for a TEDx talk, what happens after a TEDx talk? Is it everything we dreamed of? So I had this awesome conversation with my friend and colleague Moe Carrick. She is the licensee and lead organizer for TEDxBend, which is where I also am a TEDx coach. And we just dove in on all of those questions and more. So I know that you’re going to find so many of the answers to questions that have been lingering around in your mind in this conversation. So without further ado, enjoy this conversation with Moe Carrick. Michelle: Hello, welcome everybody. We get to have a super fun conversation with Moe Carrick today. Moe and I have known each other for about 10 years. She was one of my first mentors back when I started my business, sort of from afar, maybe a little stalkery. And I had the honor of working with her on the TEDxBend coaching team the last few years. So I’m excited for us to get to dive in about TEDx, TEDxBend, and lots of questions that I know lots of people have about that. So Moe is a consultant and coach through her company, Moementum, a certified B corp. She’s an author, a speaker, and has been the licensee and lead organizer for TEDxBend for the last three years. Her bestselling 2017 book, Fit Matters: How to Love Your Job, is a valuable resource for anyone who wants to feel awesome in their work as well as for leaders who want to create workplaces fit for human beings. I love that. Moe has delivered not one but two of her own TEDx talks as well in Washington and Atlanta. So I’m so grateful and delighted to have you here, Moe. Welcome. Moe: Thanks Michelle, I’m thrilled to be here. Michelle: Yeah. So as you can imagine because I imagine you must get these kinds of questions or sort of like, nuanced variations on this question, people who are listening to the Beyond Applause podcast are especially interested in speaking and book writing, and they are probably – most of them wondering, how do I get on a TEDx stage? This is the question I get the most often, and you are the first woman I thought of when I thought of who can answer this for us. Moe: Awesome. That’s great, and it’s not anything magical although I think it appears like it is sometimes, and I myself, before I got my two talks, I just was dreaming and hoping to get on a TEDx stage. And I had applied actually to TEDxBend, and I came close once or twice but I never actually made it on our stage and then I became the organizer so I couldn’t be on our stage because of the rules. So that was sort of interesting and part of why my talks were elsewhere. But basically, there’s usually two ways that you can get to give a TED talk. One is that you apply. And you apply usually online. Unfortunately, TEDx’s, which are all over the world, there’s more than 3000 of them globally, they all have their own application process. So there’s no like, central repository for TEDx applications. But usually, the applications are pretty straightforward. They ask you to summarize your idea, they will usually ask for a video clip. It doesn’t necessarily have to be of a talk or even a professional video but they want it – you know, like for our application we want to see that somebody can speak about their idea in a compelling way and it just helps us get a feel for who they are. And then usually you need to submit a headshot, something like that. And so what I usually recommend that people do is if you go to ted.com and search by TEDx or TEDx locations, you can actually see the event calendars of where in the world there are TEDx’s being hosted. And you can say, “Oh this is – I’d like to talk here,” and then you go to their site and almost always on their site they’ll have apply – speaker applications and they’ll have their dates. And that’s how I was accepted on the TEDx San Juan Islands stage. I spent a lot of time in my life in the San Juan Islands and I saw that they had an event and I was like, “Oh cool, I’m going to up there on this business that week, wouldn’t it be great,” and so I applied and then I ended up delivering my first talk actually was there on TEDx San Juan Island. And so that’s one way. I would call that the application way to make it. The other way is through a recommendation or a personal invitation, and for us when we curate our show here in Bend, we do curate in both of those ways. And so we get probably anywhere between 85 and 130 applications each year for our main event, and then many of those make it to our stage once we have gone through our review process, and then there are some people who we either learn us through word of mouth or whom we’ve heard speak before, or whom someone just says, “Wow, you really should have this idea on your stage because they live here and we think it’s amazing,” and those people will call up and say, “Hey, you know, we’re really interested in having you perhaps on our stage, would you be interested in applying?” And we usually do then is they apply and then they’re curated in the same way that everybody else is. So you don’t really get around applying but sometimes you’re sort of more handpicked if there’s a topic or an issue that we think is particularly important to have on our stage. Michelle: Okay. So you can either come in through – everyone has to do an application, but because I have actually seen that that – and heard people talk about being recommended for different TEDx stages, but they still have to go through an application process. And then there you are with 85 plus applications. How do you choose – you know, what are you looking for? What’s the criteria? Moe: Yeah, that’s such a good question, Michelle, and it’s hard – you know, it’s hard to know and I’ve seen some really interesting things around how other TEDx’s handle it and so we’re – let me just caveat by saying like, we’re always learning you know, what the best way is to choose. For example, TEDxMileHigh, which is the event that’s in Denver does an actual audition, and so you apply online and then you’re selected to audition, which means you have to go to Denver and actually perform part of your speech and then you might get selected. Now, they are curating most of their speakers locally, which is more and more of a trend, which is that speakers are being footed from their own community, not necessarily bringing them in. We do a little bit of a mix. But for us, the way we do it, we use a team approach. We have a team that varies year to year, usually consists of some members of the board, or coaching lead, Joanne, who you know, lead organizer, myself, and then we also often invite other community leaders who we think might have a valuable point of view on what subjects are going to be the most powerful on our stage that year. And so that usually our internal team, meaning our TEDx leads does the first round of review of all the applications, and we’re screening for is this – mostly we’re screening for does this look like an idea that’s worth sharing? We’re not so much focused on is someone a good speaker or anything. We’re just saying is this an idea that’s worth sharing, meaning is it a unique idea, or is it a common idea that’s being told in a unique way, or is it a topic that we just are super curious about that we’d love to have on our stage. So that’s sort of round one. Then round two is to look at those same applications and say okay, what do we know about this person’s speaking experience, are they local or not local, might that meet our balance and our desire there, and then we typically schedule interviews with about our top 20. Sometimes a little more than that where we would call our top options and say, “Hey, you know, you made it to kind of round one, we’d love to talk to you more about your idea,” just one person usually on the team calls them, and that’s to vet how well does the idea stand up, how well do we think the person can explore it, we also in that conversation ask about are they open to receiving coaching for their talk, are they available on the date that our event is scheduled because you know, you’d hate to get down the line and they’re not. And then we talk about some things like – you know, that we don’t reimburse costs, we don’t pay them. TEDx speakers are not allowed to be paid, but in terms of our license. So we go through that and then the team meets usually to review that final pool and make the final decision, which often has to do with both the ideas that – the effectiveness we think of the speakers themselves but then also what’s the whole program likely to be in terms of a mix of topics. And for us in Bend, we focus also on trying to have a diverse pool. So we don’t want all white women, we don’t want – we want to have a mix of age and gender and race and topics so that it’s an interesting experience for our audience. Michelle: Right, so the selection process, it is about the speaker and it is about, you know, how good they are as a speaker as sort of a second tier, it sounds like, and you know, first tier of course, is this an idea where it’s spreading, but then you’re also just sort of looking at the mix, right? So you can have, it sounds like, a really awesome speaker with a really cool idea worth spreading, but if you’ve got three people in that same realm or you know, that doesn’t allow diversity of idea or diversity of background or all kinds of different things, then you just wouldn’t be able to choose one or two of those people no matter how good they would have been, right? Michelle: Interesting. Yeah, I mean I can definitely – as you were describing that the larger conference with all the different topics and especially if the points of view are quite different, which is by the way, how I felt about the ones that I saw on the TEDxBend stage this year too, that sort of adds to the richness in a way. It’s like, oh, and then look, this person has – maybe even especially if it’s a completely different angle or you know, really makes you think on both sides of something. I can imagine that. So one of the things that I have surmised and kind of proposed to my clients, or people that I’m just in conversation with around speaking and this big, you know, question of how do I get on a TEDx stage, is I will set – you know, it’s just my theory and I would love to know what you think, that different locations would have different chances of getting on the stage. Michelle: Right? And I’ve just kind of made this up because some areas are full of people with tons of like, amazing ideas and amazing credentials, and you know, all of those things that I would imagine do feed a great TEDx application. Moe: Yeah, I think you’re totally right. And yes, so I think you can have different opportunities at different sized venues. You also get different opportunities based on are they curating only locally, and so just to clarify, there are a lot of different kind of TEDx’s so there’s like the – what we call the basic license of TEDx is actually a license for an audience of – I think it’s actually 200 people or less. And then the extended license is given to people that want to have an audience size of like, 200 people or more, and I want to double check it’s 200 or 100. Yeah no, it’s 100. So the general license is 100-member audience. If you want to have an audience that’s bigger than that, you have to qualify for that event by having a licensee who attends a big TED, either the TED in Vancouver or the TED Summit, or something like that. And so it does prohibit people from … So there’s the general TEDx event and then there’s an extended license or a bigger license for someone who wants to do a bigger event, which is what we have, and then there’s TEDx events that are associated with a university. So many TEDx’s are associated with a location like ours, TEDxBend is a city or a town. Some are associated with a university, which is a special kind of license, and then there’s TEDx corporate, which is actually an internally housed license that a corporate client might apply for to host a TEDx event just for their employees. And then there’s something called TED-Ed, which is basically a TEDx youth event, which is yet a different kind of license. And so depending on your topic, you might want to apply not only to a TEDx general license event but you might want to apply to a TED university event or a TEDx youth event if you’re speaking about a topic, let’s say that relates to you, even if you’re not a youth but you’re an adult, an educator or something like that. Michelle: Okay. So if it’s a corporate event or university event, it doesn’t mean you have to be associated with that company or that university. It’s just being hosted by that place. Michelle: Yeah, that’s really – that is super interesting. Moe: Oh, and then there’s TEDxWomen. There’s TEDxWomen events. Michelle: So I think the next big question I know on my mind, and I’m sure on other people’s mind is okay, so you did it, right? Not only – I mean, you have this whole separate amazing thing that you are a licensee and a lead organizer, but you also delivered a couple of TEDx talks. And there’s two things I’m curious about that, and I think other people would be too. First of all, just sort of like, prepping for it. You know, if you could just speak to that whole – the process of prepping for it, especially since I know that you are an experienced speaker. So you were out there speaking already, so how does it differ and you know, what stands out for you in that way? And then second, I’d love to know just sort of what has – how has it changed things in your work or in your perspective or anything? Moe: Those are such great questions, Michelle, I love it. Moe: You know, the first part of the question is really about what’s it like to get ready and how is a TEDx event different than other speaking events. And you’re right, I am a professional speaker and I – and so I do a lot of it. And here’s – and to me, it was completely different. Completely different, and it was a lot more stressful than most of my speaking engagements. And some of that is because my style – I’m actually more of a facilitator than I am a speaker, and so I’m used to large and small events where I’m in a highly facilitative role where I’m engaged in the group and activities, and I’m interacting with them and I’m talking – I’m speaking but I’m also – and I’m telling stories but it’s more like storytelling facilitation with you know, with that hat on. It’s completely different to have up to 18 minutes where you’re on the red carpet dot and you’re solely delivering a talk. And for me, one of the big differences was that it’s memorized. And you know, I’m used to speaking from an outline where I don’t usually memorize, and for me, that was really, really hard. And it was also really good learning because when I watch my talks now, both of them, which my talks were only delivered a month apart. They were different topics but on the same adjacent topic, and that – I would not do that again, if I had, you know, an option. But I thought it was worth doing because of the timing of my book, and so I don’t really regret it but when I watch my talks now I do kind of cringe because I can see the gaps. And one of the gaps is I don’t really feel as strongly connected to myself when I watch because I think I wasn’t fully in myself from an emotional perspective, and I think it’s because I was working so hard to remember what I was supposed to say next. And so if I ever should be called to give a TEDx talk again, I would probably work more from an outline and keep – even keep an index card in my hand so I could be a bit more natural. You know, with that being said, the process is also really fun and you know, the smaller events are not as sophisticated as some of the bigger ones, although I – one of my events that I spoke at was small, one was big. But you know, our event I would – here in Bend I would call a bigger event. Most of the bigger events or if they’d done it more than once, they will assign a coach and they’re usually volunteer coaches. Some of them are professional speaking coaches like yourself, and some are just average people that want to help and kind of know what it’s like to be an audience member. And for me, the coaching was invaluable both times. Just having a thinking partner to both organize the idea, that’s really the hard part is like, what is my main idea and how do I keep it really simple. And then the second part, which is how do I actually, you know, prepare it to deliver the talk itself. That was really helpful for me both times around, and it’s super exciting because you get to join this community of – this team. You know, you arrive, in both my talks we had like a, conference call ahead of time, you arrive, you have makeup and hair, it’s like you’re treated like royalty. You know, it’s a super, super fun experience. And both of mine were like that. Now, that being said, when I finished my second talk, which was at TEDxPeachtree in Atlanta, I went unpredictably, into a huge depression for like 24 hours. My husband was like, “What is wrong with you? Why are you so depressed? You did it. You prepped these two talks,” and I couldn’t figure it out and then I realized that I had really allowed myself to measure my feeling of worth based on standing ovations. Moe: And I didn’t get one. And I was in staying in Atlanta, all of the Atlanta speakers did get one, and I really was like, my gosh, I just didn’t deliver the talk of my life. Because I think I had hyped it up so much like, this is going to be the talk of my life when I did it, and it was a – you know, a decent talk, but it wasn’t a world-shattering talk. I was disappointed. And so for me, that was a big learning that I now try to use as an organizer, which is like hey, first of all, it’s not the talk of your life, it’s just one talk. And you know, don’t compare yourself to how anybody else tells their topic. I regretted sort of feeling blue those 24 hours after the second talk. I did get over it. I wished I had been able to be more brave and more self-validating around hey, you know, good for you, you did this, and so it wasn’t perfect but what an awesome, fun experience. I did get there. Michelle: What a gift that you are willing to tell that story. Actually, I can really imagine, honestly. I mean, I can imagine just sort of tucking that story, you know, somewhere behind my heart. You know? And just like, not talking about it again, really. And yet you telling it, it really gives me chills I think of the people who are going to hear this story who have had, I know, variations on this experience. Michelle: Yes, I think about that when I think about the ones that I know got picked up. It’s not that they weren’t great, they were great talks. Michelle: Just that I wouldn’t have at the end of that day said that was the one, or you know, that’s going to go to TED. Moe: Yes, I think that’s right. And a lot of it has to do like, Emilie Wapnick’s talks was about multi-potentialities, and she’s a millennial. She happened to really hit the timing with it. She was talking about this millennial focus topic that everybody wanted to hear and she’s been able to leverage that talk to creating – she left her job, she paved a whole her business model, she wrote a book, she’s – you know, that talk has changed her life. As opposed to someone like Paul Hessberg, who was also picked up by ted.com, spoke last year about fire management. His life is still what it once was. He’s a fire researcher and his passion is around reducing the devastation of forest fires through good forest management, and that talk just gives him an even more powerful voice in his space to say hey, this is my point of view on the world. Michelle: Well, I love that point that you’re making actually, you know, that even a TEDx talk, which often feels like this pinnacle for people who are aspiring thought leaders or you know, speakers, however they think of themselves, it’s sort of like, once I get on a TEDx stage, but this contribution, you know, as a thought leader, a speaker, a person with a message, in order to really make that kind of impact, no one thing does that. You reach a certain audience with a TEDx talk and it’s beautiful, and actually, if you use that powerfully for things like you’re describing, where you send it to a client, two things happen. They get a sample of your speaking, which is wonderful because that’s exactly what they need to assess, and it has credibility. It does. It helps them decrease uncertainty, which is what they’re trying to do, right? Moe: Yes, absolutely. And I think that’s such a great point of view, and I kind of wish I’d know that ahead of time but I guess I had to go my own journey, which was that I definitely, in my mind, I had constructed a little bit of methodology that like, doing a TEDx talk would mean something to me. And in hindsight it’s like, sure, it was another wonderful scary learning adventure and it didn’t really mean anything in terms of like, changing my life. But it was very informative from a learning and self-awareness perspective, which is kind of what we all – when we’re at our best, we’re all in that space of like saying, gosh, where am I strong, where am I weak, what do I want to learn in my time on this earth, and you know, the talk process definitely gave me that, as well as this idea of you know, the power of TED to build and enrich community, which is you know, something I think I didn’t expect as a TEDx speaker. And I do see that as an organizer but I love the way that our speakers and our performers now really connect to that idea, like wow, I’m part of this community of TED that is about ideas worth sharing. Michelle: Yeah, it’s true. It is really beautiful, and it’s beautiful even as a TEDx coach to just be able to kind of ride alongside it. You know, to watch it happen and get to kind of weave into it a little bit and be a part of the process. And I love what you’re saying about how this – you know, I often think of speaking, especially high stake speaking like this, as you know, one of the most powerful things about it, as hard as it is, there’s so few other times we get to meet ourselves at the edge of what we’re capable of in that way, you know? Moe: Yeah, I love that. I love that. And also, to be able to challenge ourselves to really think what is it I want to say. Michelle: Yeah, what matters enough for me to work that hard. Moe: Right, and can I say it in 18 minutes or less, which you know, was it Ben Franklin or somebody who said you know, I’m sorry that my book is 1500 pages long. If I’d had more time I would have made it shorter. Michelle: Exactly. I often – I’ll have that come up when someone’s asking me about speaking for an event or a team or whatever, and they’ll say, “What if we cut it back to a half hour?” Like, well, then I’ll have to charge you more. You know, if you give me all day actually, the rate is less. I mean, that’s not exactly true but you know what I mean, it is hard to be really effective in that short of an amount of time. One other thing I didn’t – have you ever heard of my concept post-presentation syndrome? Moe: No, but I love it. Michelle: So I call it PPS and I – you know, I think after a TED talk, I can imagine that – it’s kind of like what Brené Brown talks about with her vulnerability hangover. It’s sort of like this but the way you described your situation after too, it’s sort of when we go through like, all the things we should have done, what we should have done differently, what we forgot to say, you know, just the whole gamut. And it happens a lot. And it’s such a normal part of speaking. I feel like if we just know that it exists, you know, that it is a really normal thing, that maybe we can at least partially just write it out like – just like I get anxiety before I get on the stage, this is the part where I like, have PPS for a little while. Moe: Yes. I think that’s a such a good mind frame because there is a bit of letdown and it also helps us to remember like, we don’t – it’s not about can I do it perfectly, and if we set ourselves up by thinking it’s going to be exactly as we imagine, then we waste energy – for me anyway, I feel like I waste a little bit of energy being present and I was talking to one of our speakers this year, Katherine Center, and she delivered a beautiful talk but she – you know, she was the last speaker of the day and she said to me afterwards, “You know, I feel sort of sad because I was so worried all day that I was going to forget it, but I missed a bit.” And it’s like, okay, that’s a good insight. I felt sort of similarly, which is you know, have it be an end goal. Yes, I’m going to work hard, I want it to be great, and I’m going to be okay if it’s imperfect because in fact, I’m imperfect. Michelle: Yeah, yeah. And her talk was so good. It was the perfect close of the day. It’s like, my daughters were sitting in front of me and they loved it, and they’re like, middle school. Moe: I love that. Yes, I know, I loved it too. I can’t wait until it comes out. Michelle: So just to wrap up because I know you’ve given me bonus time, so thank you for that. There’s so much good stuff here, I’m so grateful, Moe. Moe: Well thank you, it’s so fun to talk to you about it. Michelle: So if I could ask you the last final question because you are working in such service in so many ways as I mentioned before we hit record, and I know – and service is at the heart of the whole Beyond Applause approach. I mean, that’s what it’s about. We do all this, yes applause is awesome, but it is about being of service in the world. So I wonder, what does it mean to you to serve through your work. Moe: Wow, that’s a good question. You know, for me, I think there’s probably two threads for that question, Michelle. One is the work that I do that’s my consulting practice, which you know, does include my TED talks, but it goes beyond that, which is to serve the world with my work, what I can see now at my age, which I don’t think I ever expected that is – means to help really create workplaces that work for human beings, but also for the world at large in terms of being sustainable for our planet and for our communities. And so you know, creating workplaces that are both fit for human life but also fit for the environment and for the communities in which they operate, feels like a really important body of work that I’m very – I feel very privileged to be in service to, and helping leaders be brave while they do that, which is really not that easy. You know, to be in business is tough. And the second part I would say is the work I do that’s not paid, which is my pro bono work, of which TED is the big piece of that in the last two years or three years. And that is that I feel like we all benefit from community and from the people that volunteer in community. And I don’t take myself off the hook for that. I think if we don’t give back to the common good, then the common good deteriorates. And we can’t benefit from it. So I feel really lucky to be able to have that be an enlightened part of my life, as well as the work that I do in exchange, you know, for money, which matters as well, you know, to my – keeping me above the board. Michelle: Yeah, and to be able to keep doing – providing this service. It’s kind of like you’re on this mission and of course we have to keep funding the mission and our livelihood along the way. Well, you are just ongoing and ever inspiration for me, truly, and I’m so grateful for your mentorship, even at times when you don’t know you’re doing it, and at other times when you’ve done it so directly. So thank you so much for spending time with me today and just for all your awesome work in the world. Moe: Awesome, Michelle. Thank you for yours and for the privilege of joining your wonderful new podcast. I can’t wait to hear more. So I want to offer to you a free mini course that’s built on a process that I’ve shared with so many clients and people in my trainings and workshops, and I’ve heard over and over again that this process helps them get a kind of clarity and conviction that they often have never felt before. So I’m excited to offer it to you as well. You’ll find it at michellebarryfranco.com/rooftop. Of course, we’ll also have a link to that in the show notes. I hope that this process provides the same kind of clarity, conviction, and confidence for you that it has for so many others. I’m thrilled to be with you this week. Can’t wait to be here again with you next week. Meantime, go get ’em, speaker. Thanks for listening to this episode of Beyond Applause. If you like what was offered in today’s show and want more, head on over to michellebarryfranc.com/start to get your free complete guide to stepping into leadership speaking right away.